Heading West, The Scottish Music Shop - The Best Selection of Scottish CDs and Scottish DVDs. Charlie Kirkpatrick hails from the island of Iona on the west coast of Scotland. St. Columbas landed there in 563AD and thereafter spread Christianity throughout Scotland. This is Charlie abd the Band's third CD. Playing a 3 row Honer Shand Morino gives that very distintive sound of the west. 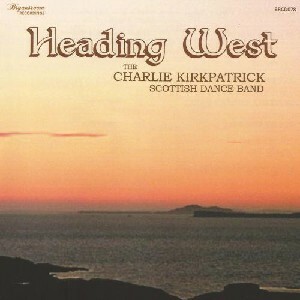 With it's variety of Pipe Marches, Scottish, Irish & Gaelic Waltzes, Reels, Jigs, twosteps & Polkas this CD is unmistakable Charle Kirkpatrick.